The DFS Doctors are a group of professionals who have combined their skills to create proprietary algorithms which produce the best daily fantasy projections available online today. We are the sharpest sports minds in the industry today. We’ve produced odds for the sports gambling industry, compiled databases that are utilized by thousands of people a day and quoted in the sports media, built computer models that can predict the future, and engineered lineup constructing algorithms producing only the highest quality daily fantasy performances indicators in the world. Using our college football projections, you can be assured to have the lineup tools needed to win your daily fantasy leagues. We find the best daily fantasy initial deposit bonuses and investigate the terms so that you can get a deal that fits your bankroll. 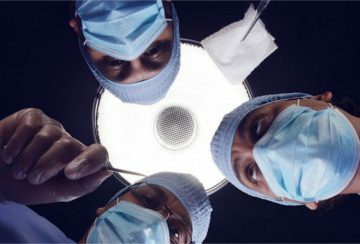 Live like a doctor by taking advantage of the promotions offered by the various daily fantasy operators who compete for your dollars with fabulous extras. No more feeling sick after your lineup full of all-stars score like a beer league team. Our proprietary daily fantasy tools will leave your lineup looking like you entered an all star team without the names normally associated with all star performances. The DFS Doctors will bring a healthy score to your game, leaving you with a winning combination. Using our projected daily fantasy scores, you can build an optimal lineup. We’ve put in the long hours and dirty work to build a top notch daily fantasy projection model. You gain access to our custom algorithms which project a score for each player based on their daily fantasy price, showing you how to build your lineups like a true professional. Where else can you find a group of experts dedicated to cracking the daily fantasy code, who are willing to advise you on your lineups as well? Like good doctors, we’re always there to help our patients in any way we can. Whether it’s value players, ownership projections, or help building your lineup around those you’ve identified, reach out to DFSDoctors.com and watch your daily fantasy outlook change overnight.